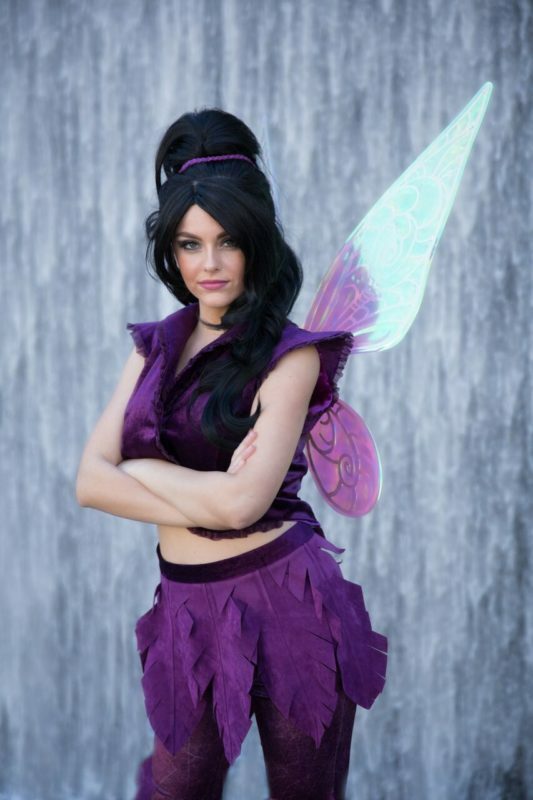 Violet Pixie, or fairy, is the spunkiest of them all. Witty, sassy, funny and always entertaining, she is not only beautiful but fun. She is fastest flying of the group, but doesn’t like to show off at parties and events, so will ground herself for the day! She is loving and adores her fairy friends, but keeps feelings close to her chest. She may come off as the toughest of the group, but a sweet, soft heart remains inside. She is a beautiful addition to your group of fairies at your garden party, charity event or birthday party in her purple fairy costume and wings that reflect the purples from her attire. She is available for birthday parties, events and garden parties in Orange County, Los Angeles County and parts of Riverside County.